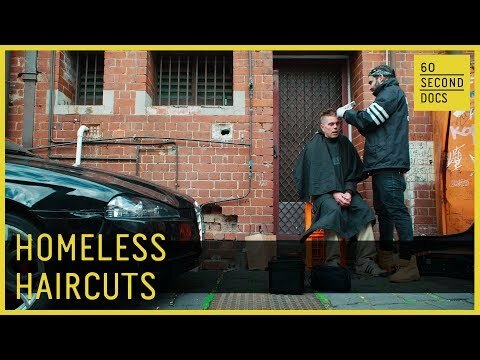 Nasir Sobhani of Melbourne, Australia, aka The Streets Barber, gives free haircuts to the homeless to help them feel clean, empowered, and understood. Life on the streets is rough, with homeless people often ignored or abused to the point that they no longer feel human — and Nasir, a former drug addict himself, is out to change that with a salon-style makeover. For him, it all starts with a pair of clippers and a clean cut.